NORTHAMPTON, Mass. 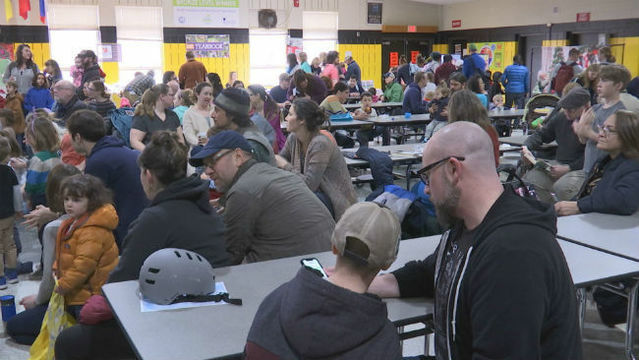 (WWLP) – Families were treated to a fun-filled Saturday in Northampton in celebration of the end of winter and the start of spring. Yankee Candle, 93.9 The River and Hits 94.3 hosted the 11th annual “Meltdown Family Music and Book Fest” at Smith Vocational and Agricultural High School Saturday. Thousands came out for the free family event which featured music, book readings from award-winning children’s authors, bounce houses and even acrobats. Food vendors and puppet shows were also on the agenda. One South Deerfield resident said the event is great for families to spend time away from electronics. “It’s a beautiful day and it’s a good opportunity to get the kids out with others in the community and enjoy activities not involving screen time and being interactive,” Justin Kasunick told 22News. The annual end of winter celebration is held on the last Saturday of March every year. It’s the biggest family music and book festival in the region.